I have given the reasons why my family has decided to homeschool (and in that post is also the reasons we deem invalid to homeschool). 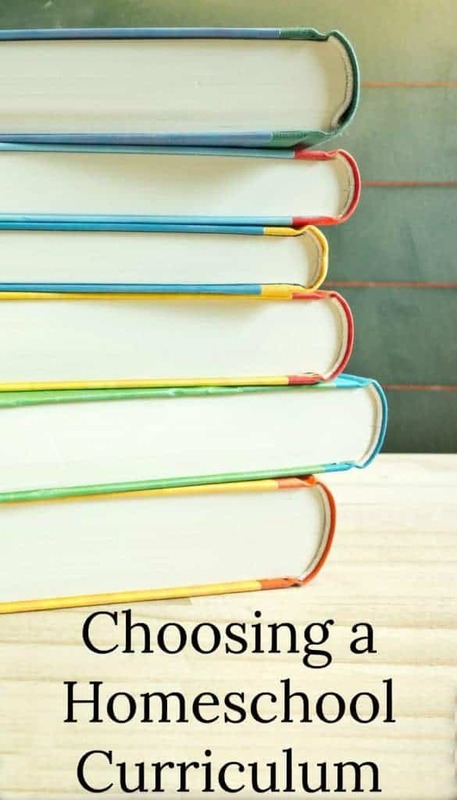 That post got many of you asking about how to choose a homeschool curriculum. So that’s what we are going to talk about today. I won’t lie, choosing a curriculum is one of the scariest decisions you’ll make as a homeschooling parent. It would be wonderful if you could just say, “ ok I want to homeschool” and then someone would hand you all the books you needed. However, one of the things that set homeschooling apart from other forms of schooling is that you get to choose your own curriculum so that you can fit the education to your child’s needs. If you were handed a pre-selected set of books then you really wouldn’t get that customization would you? Unfortunately, this does mean that you will be the one who has to do the researching, reviewing, buying and using your oldest child as a curriculum guinea pig (trust me, I’m the oldest in my family; I know what it’s like). Hopefully I can help some of you out in the curriculum department. I am by no means a homeschooling expert. This is my second seventh year homeschooling and so I am relatively new although I think that newness might help as I still have the hair pulling curriculum decision fresh in my mind. I do have one advantage as a new homeschooling mom and that is that I was homschooled myself so I do have the years of observing my mother homeschool me and my 3 siblings to add to my experience. Many homeschoool curricula is Christian based. Do you want a Christian curriculum? Do you want a middle of the road curriculum that has Christian ties but isn’t overly pushy? Do you want something completely secular like there would be in public schools; perhaps take a look at K12? There are many different homeschooling approaches to teaching. 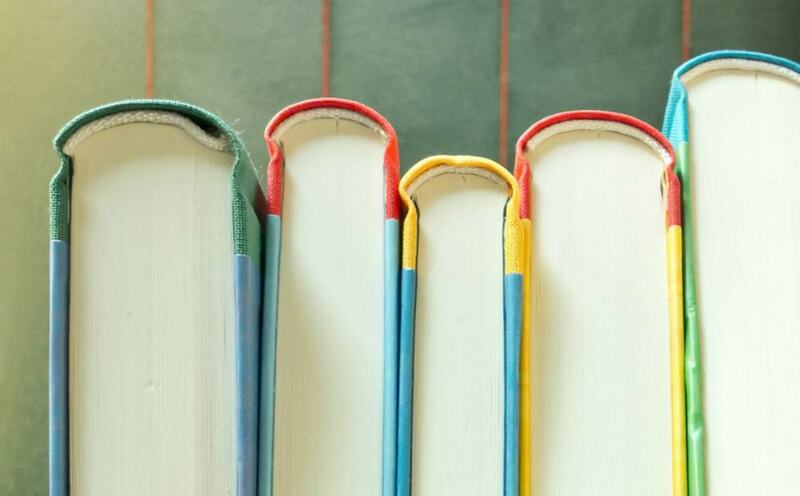 Are you a by the book, cut and dry textbook type? If so you might want to go for curriculum that is used in private schools such as A Beka. Are you a family that devours books and desires to build up a large library? Then perhaps literature based curriculum like Sonlight would be a good fit. Would you rather your children learn without feeling like they are learning? You might want to look into unit studies or unschooling. This shouldn’t really affect what curriculum you buy so much as how you go about buying it. Curriculum comes in a wide range of prices. Some are expensive while others are free. Just because you pay a lot for a curriculum doesn’t make it the best curriculum in the world or for your family. Alternatively, curriculum that is free doesn’t necessarily mean it’s sub-par. Ideally you should choose a curriculum based on learning style, teaching philosophy, worldview, etc. Just keep in mind that it doesn’t have to cost an arm and a leg to homeschool. I highly recommend buying used curriculum. There is nothing wrong with buying used (it’s more eco-friendly that way!). The curriculum will still work just as well; you will just pay much much less! You can find used curriculum through Ebay, Homeschool Classifeds, and even homeschooling friends and family. I also have a post for more info on how to cut costs on curriculum. One of the reasons parents choose to homeschool is because they can tailor the schooling to fit their child’s learning style. Not all kids learn the same way. Do you have a hands-on learner, who needs to figure things out with their hands? Then you might want to look into curriculum with manipulatives like Math-U-See. A child that can learn well just through listening might do well with literature based curriculum. Homeschooling will obviously be more time consuming for you, the parent because you will be the one teaching your children. However, you can decide on how much time you want to put into the prep-work side. Do you like piecing together your curriculum and want to really customize your child’s curriculum? Or would you rather a more “open and go” type approach where you buy a curriculum that is all planned out for you such as My Father’s World or Heart of Dakota? Perhaps you are somewhere in between; where you like most of the books used in an “open and go” curriculum but you want to use a few different books. Even if you have all the answers for the above deciding factors, you still might not know what curriculum to choose. That’s why it’s important to use homeschooling resources. You’ll be able to see curriculum, talk to other homeschoolers, and hear other’s opinions. Homeschool Conventions – These are an amazing resource. On top of being able to see first hand hundreds of different curricula, you can also listen to guest speakers and attend workshops. Just use Google to help you find one in your area. Websites – There are plenty of online homeschool curriculum review sites, such as Cathy Duffy Reviews. Homeschooling Families – Odds are you probably know someone else who homeschools. Feel free to pick their brain and get information from them. As far as I know, all homeschooling parents love to spread the word about homeschooling. If you do not know any other homeschoolers, never fear! Try searching for homeschool groups in your area. This can be done through Google, Yahoo’s Groups, the HSLDA website, or even Homeschool Classifieds. Books – There are hundreds of books on Homeschooling. Why not pick up a few on the different homeschooling styles to see what fits best for your family? There are even a few books specifically for curriculum such as Cathy Duffy’s 100 Top Picks for Homeschool Curriculum. Blogs – Blogs might not be as formal or as thorough (sometimes) as books but you can find a wealth of knowledge in them. You can read what others are using for curriculum, their reviews, tips, and recommendations. Forums – I am a big fan of forums. I have learned so much through the few that I’m a part of. Homeschooling is no different. You can hear what others have to say and you can bounce off questions on each other. I love the Baby Center’s Homeschooling Group. Hopefully some of that info helps answer some of the homeschooling curriculum questions. I know it seems terrifying to choose your child’s education but trust me, things get easier after the first year or two. Just make sure to do your research and I’m sure you’ll do just fine. I started homeschooling in 1987. I got my curriculum from a school in Virginia, and had all my kid's grades there as well. I then realized after homeschooling a few years, that I could save money by photocopying all the workbooks, and getting the school books myself. I have homeschooled all six of my kids with just one still in school, so I am a veteran homeschooler. I still have books that I am using from the late 80s that are still be copied. I keep my own grades and records safe here at home. We have no regrets about homeschooling. Our kids grew up as what children should grow up as, and not carbon copies of what the government or social engineers wanted them to be. Do yuo know if most people homeschool just until highschool? or is it normally until college?? I plan on homeschooling through highschool. (I was home schooled 4th – 12th) Most families do anything from just a few years, just the elementary years, just the older years, or from K – 12… It depends on what the family is looking for and what works for them. Yes! I am all about reusing books! In fact, we get to use some school books from my mom that she used to homeschool me and my siblings!! !